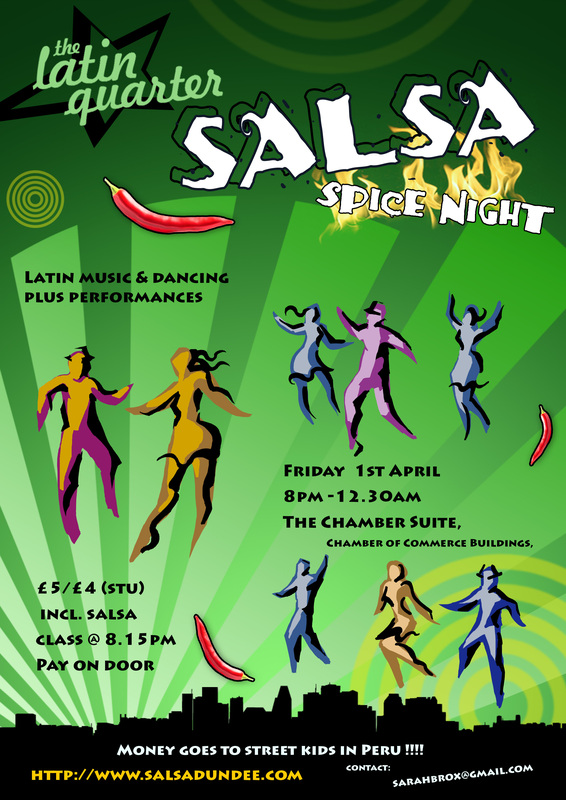 Here are the details for the Latin Quarter Salsa Spice night on Fri 1st April, a night of dancing & performances TBC. Please pass the word, see poster. Fri 1st April 8pm till 12.30am at The Chamber Suite, Panmure St, Dundee DD1 1ED. Free salsa class at 8.15pm, tickets on the door, £5/ £4 ( stu), money goes to the Azul Wasi project in Peru for Street children, come & have fun & help the children too ! Will send more details about performances once confirmed.